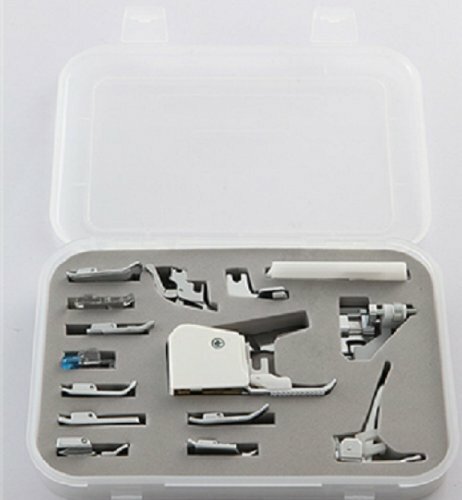 Comes With Even-Feed Walking Foot, Large Metal Darning Foot, Embroidery/Darning Foot, 1/4″ Quilting Foot, Satin Stitch Foot, Open Toe Foot, Applique Foot, a retail value of almost $90, for only $49.99! The Even-Feed Walking Foot – This foot adds more feeding power to your machine thanks to the upper feed dogs found on the foot. A great product These feet are great – compatible with my machine (Brother SE 270D) and a very reasonable price. 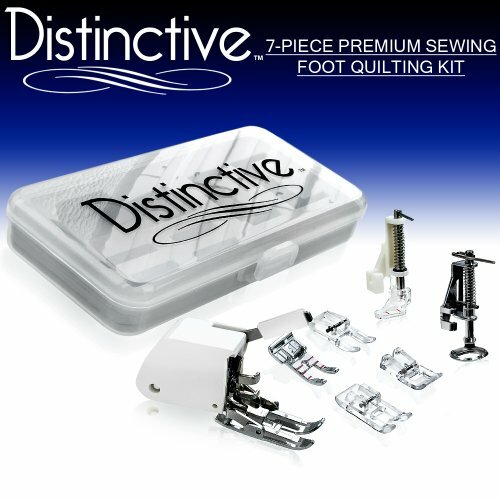 Everything and more This sewing foot quilting package was a great buy. I love that it all fits into this special case and I can keep it close to my machine and use it at any time. What a great idea to package all 7 of these feet together. I love this product and highly recommend it to all quilters.